As you can probably imagine, there are quite a few similarities between a DUI and a BUI. Both pertain to driving while under the influence of drugs or alcohol – with one involved driving a car and the other a boat. Both charges are gross misdemeanors which means the maximum penalties can result to 364 days in jail and a $5,000 fine. However, there are there are also a lot of differences which are important to understand. The biggest difference is the fact that a BUI will not impact your driver’s license – CDL or normal license. The DOL will take no action against you if you are convicted of a BUI. Another important difference is how a “refusal” is treated. If you refuse to provide a breath or blood sample in a DUI, you face harsher penalties and that refusal can be used against you. With a BUI – the penalties will remain the same and the refusal cannot be used against you. However, if you do refuse, you will be issued an infraction (a ticket). This infraction will have a penalty over $1,000! It is important to know that if you get the ticket, you can also fight it just like you can fight a BUI criminal charge. 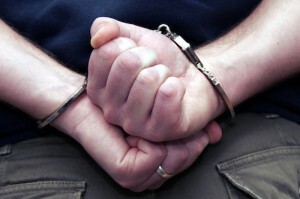 IF you are facing a BUI criminal charge or a refusal ticket, give our office a call. We have experience handling both types of matters. You must respond to the court normally within 15 days of receiving the refusal ticket which is typically much sooner than the filing of the criminal case. Contact our office as soon as you get the ticket so we can fight it for you in addition to your criminal case. We could literally be saving you thousands of dollars.